The boys, aged between 11 and 16, and their 25-year old assistant coach went missing on Saturday after they decided to explore the 10-kilometre cave complex. As a search in northern Thailand for 12 boys and their soccer coach missing inside a flooded cave entered a sixth day on Friday, police began dropping survival packages through a shaft drilled in the mountainside not knowing if anyone was there. The boys, aged between 11 and 16, and their 25-year old assistant coach went missing on Saturday after they decided to explore the 10-kilometre (6 mile) long Tham Luang cave complex in Chiang Rai province, despite a sign warning visitors that the maze of passages and chambers was prone to flooding. 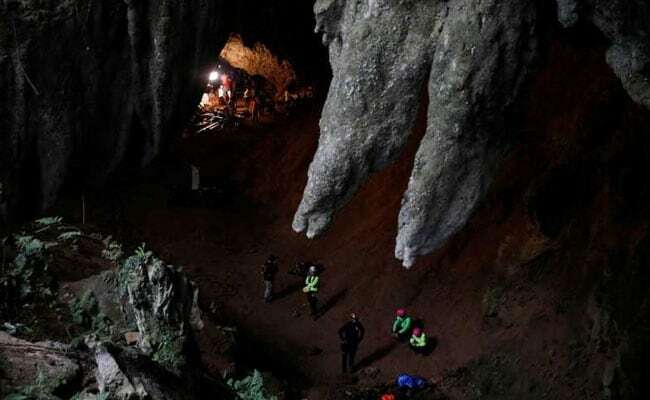 Bicycles and soccer shoes belonging to the boys were found near the entrance, and rescue workers think handprints inside the cave could have been left by the group. But the search has so far yielded no other trace. 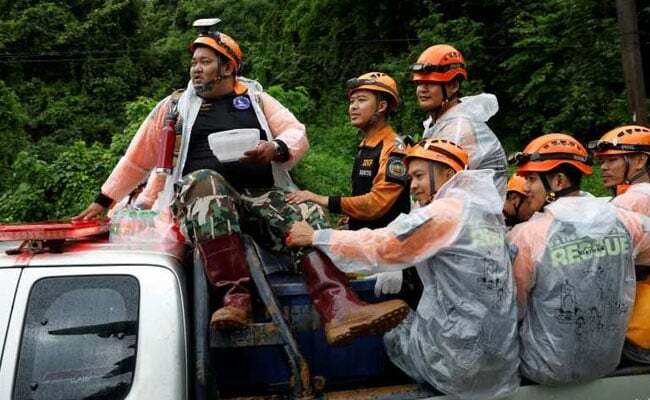 International rescue teams, including one sent by the United States Pacific Command (PACOM), are assisting the Thai army, navy and police in a search operation that has been hampered by heavy rain. Police have been scouring ground above in search of other ways into the cave as divers tried to find their way through the flooded passages. Twenty packages filled with water, food, medicine, flashlights and a note addressed to the missing team were dropped down a fissure in the cave on Friday, police said. Unsure of the boys' location, they just hoped the boxes would reach them. "If the children find this box we want them to float the box out of the cave," Police Colonel Kraiboon Sotsong, commander of the police's strategic office, told reporters. The race to find the boys has gripped the Southeast Asian nation. 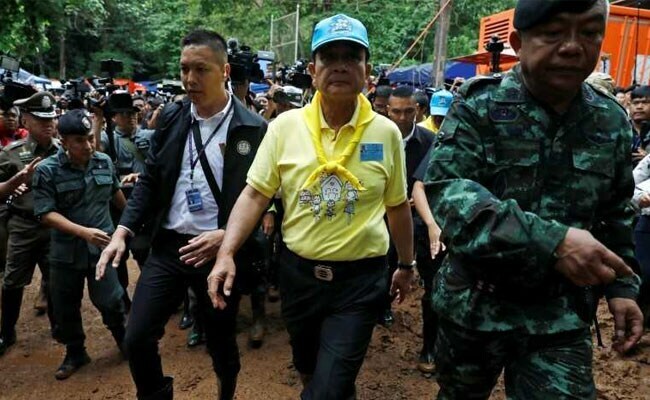 Prime Minister Prayuth Chan-ocha visited the site on Friday to urge on the rescuers and assure relatives keeping vigil that every effort would be made. "Whatever can be done, do it, the government will back it," said Prayuth. "I've come to give everyone encouragement."